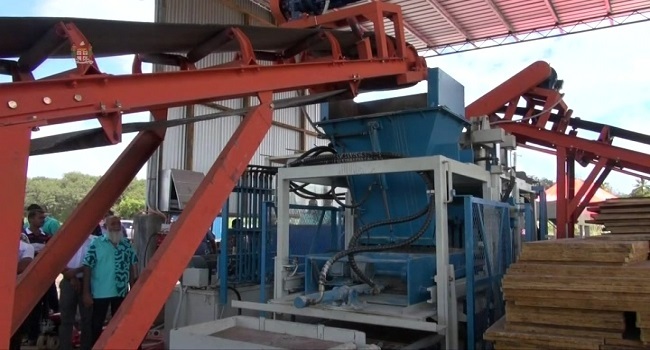 The Natural Gift Carriers has invested one million dollars into a new concrete block and pavement manufacturing plant. The new factory was opened by Infrastructure Minister, Parveen Bala in Vunimoli, Labasa yesterday. The machines can manufacture twenty blocks in a minute and one two hundred blocks in an hour. There will be six different types of pavement blocks manufactured at the factory. The company provides fleet to the Fiji Sugar Corporation and the Labasa Town Council. Bala says the government has provided the incentives through tax cuts helping businesses grow. The Natural Gift Carriers is a family run business that also specializes in cartage work, earth moving, landscaping and civil works.